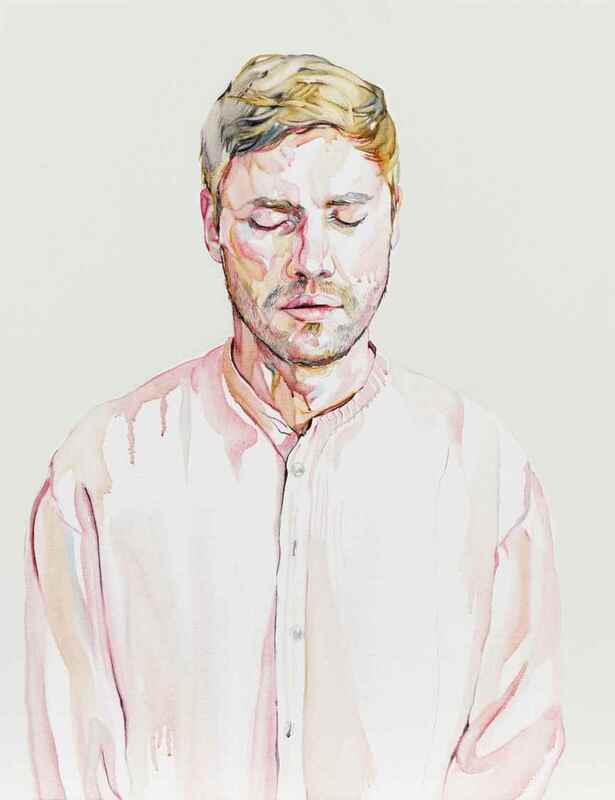 Not an ordinary still life is presented in the latest paintings of Julian Meagher. His new works are inspired by a random meeting with a scuba diver who was cleaning the Sydney Harbor of the excess litter bottles. These shadowy glass items enticed the artist to explore the dual essence of contemporary masculinity, watching though the shades of handed down history. 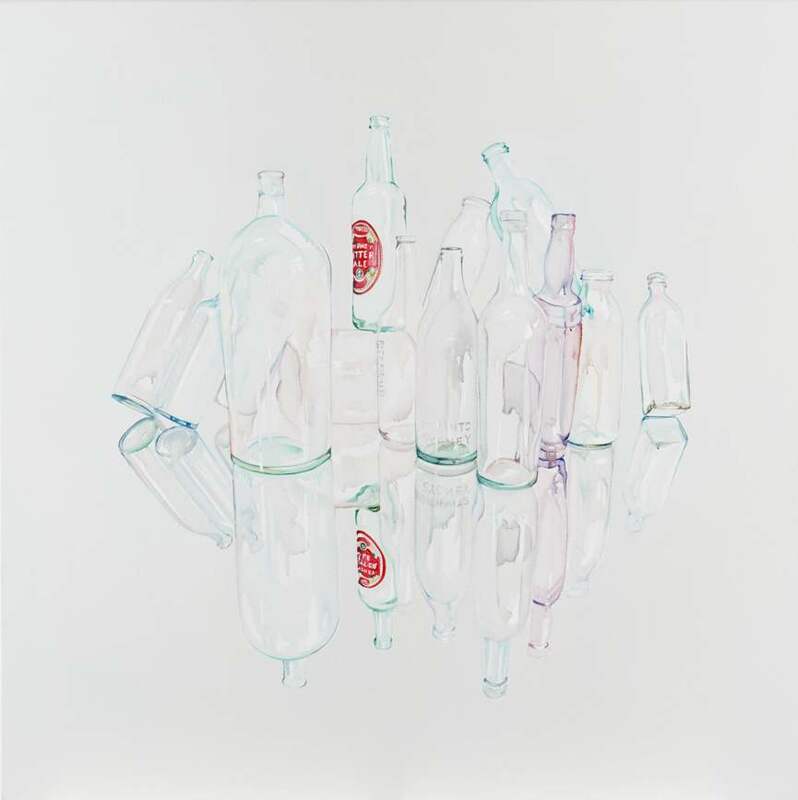 Meagher portrays men of various ages in opposition to groups of discarded glassware, tackling the issues of male fragility and strength, while highlighting the references to the vast culture of drinking in Australia. Titled after the Charles’ Bukowski piece, the exhibition is called The Sky Still Breaks, evoking the writer’s alcohol loving nature and virtuous writing. Opening reception is scheduled for April 5 and the show will run through May 3, 2014 at the Merry Karnowsky Gallery. Drinking and alcohol has been traditionally correlated with men and their power and independence, as it has been referenced in numerous works of art, film and literature. Bottles of Julian Meagher are gathered from the Harbour, junk shops and construction sites, and stand as symbols for the legacy of booze. In the careful visual interplay with known brands of whiskey and beer, the obsolete bottles provide a look into the libation debris. Although deliberate, Meaghers compositions are purposefully designed to allude to the aggression, hopes and depression traditionally connected with the male drinking habit. The scene is purified, cleansed from the excess details, almost clinical, which reveals the artist’s background in medicine and suggests his compassionate outlook on the problem of alcoholism, where he uses painting as the vessel to convey his sentiments. 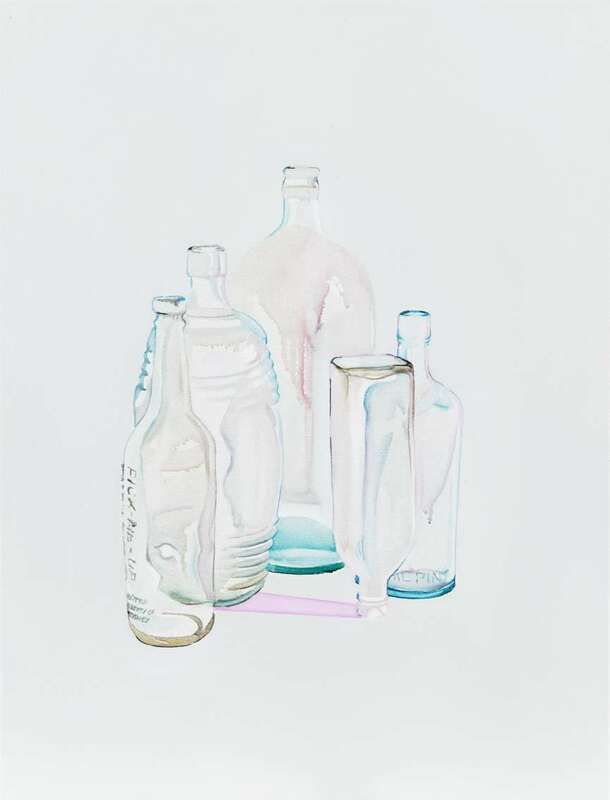 Translucent and frail, glass objects depicted by Julian Meagher reveal the painstaking creative process, in which multiple layers of glass palette are blended, overlapped and washed away in order to achieve the ideal impression of used, shady glass. They are still lives with no doubt, with a thick contemplative backdrop realized in realistic representation of the tangible and the intangible traits of the transparent material. 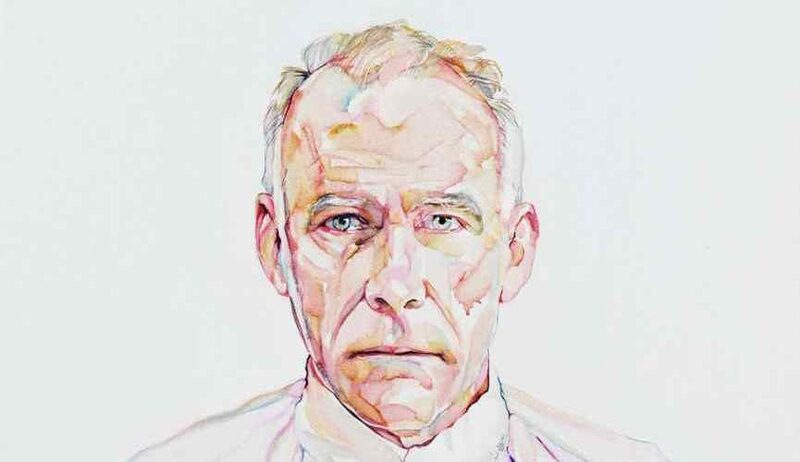 The artist renders his observations of the preconceptions on masculinity through the use of subtle palette, in particular the certain shade of pink, which stands as a meant smudge throughout Meagher’s body of work, emphasizing the dichotomy of the gender. The portraits which follow the still life series are filled with mixed feminine and masculine elements, although the subjects are clearly male. The men he depicts ought to be strong archetypes of their kind, contrasted by the outdated shirts, often decorated with womanly details. 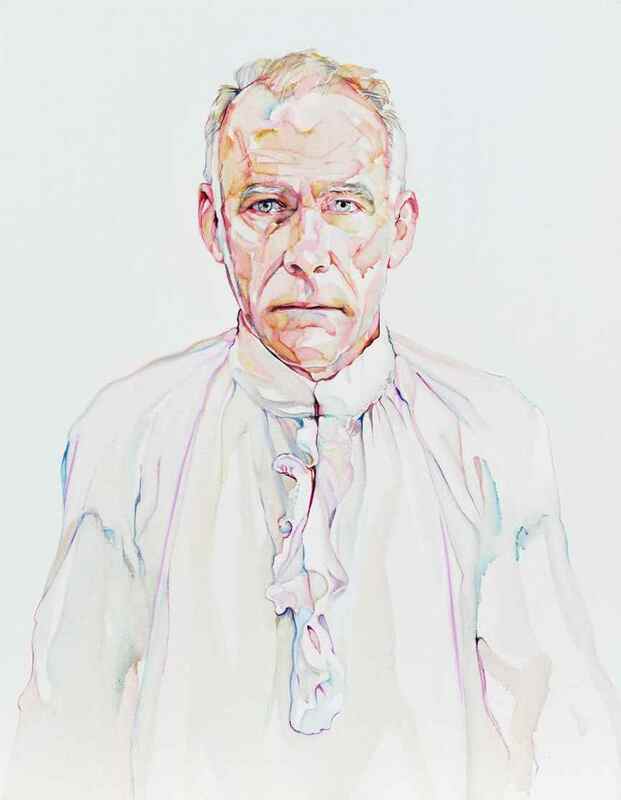 Although in history such shirts were worn by men under vests or jackets, the artist half-undresses his models, rendering a more intimate, accessible and emotive connection with them, questioning their present machismo in opposition with their inherited traditions. 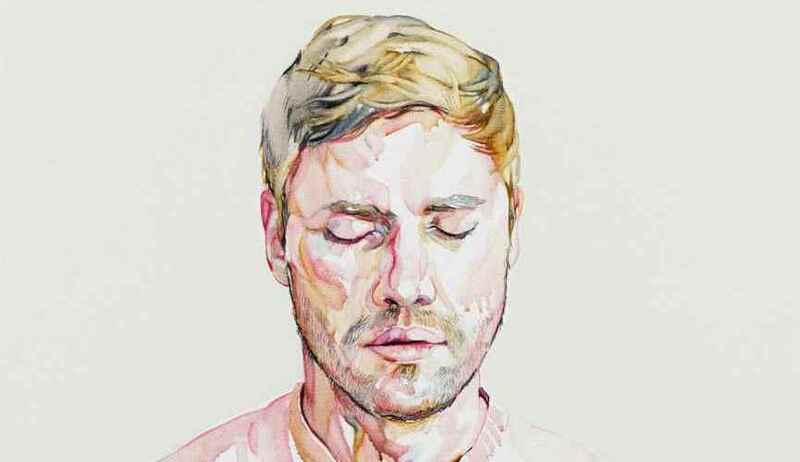 Julian Meagher is an artist from Sydney, Australia. He was trained in traditional oil portraiture in Florence, Italy. His work has been exhibited throughout Australia and abroad in Southeastern Asia and the USA. His subjects are predominantly still lives and “male still lives”, while his work delves into the problematics of contemporary idea of a male.